It looks like October is not only a month for a rush K-pop comeback, but also a month of loads of interesting and worth-to-watch dramas. There’s too MANY alluring dramas to watch, yet so little time many distractions to actually watch it. Fortunately, there’s this application – which I’m currently in love with – that allow me to watch k-dramas directly on my smartphone without having to download it first on my laptop and watch it on it. Praise whoever out there who decided to come up with VIU. And thanks to VIU, now I’m able to watch five dramas in a week. It probably pretty average for some, but for me, it’s an achievement (yes, I called watching five dramas in a week as an achievement, the life of a fangirl). Out of the five dramas, there are two dramas that have grabbed most of my attention. They are Drinking Solo and Shopping King Louie. Drinking Solo is a spinoff of tvN’s Let’s Eat that depicts a story of a number of people living in Noryangjin. Noryangjin is an area within South Korea that filled with academies – a place where university graduates study for the civil servant exam. The characters are varying from the teachers to university graduates in hopes of becoming a civil servant. What they have in common is that they love to drink alone when times get harder. Why I love this drama? It’s because it’s so fun and – somehow – relatable to my everyday life. 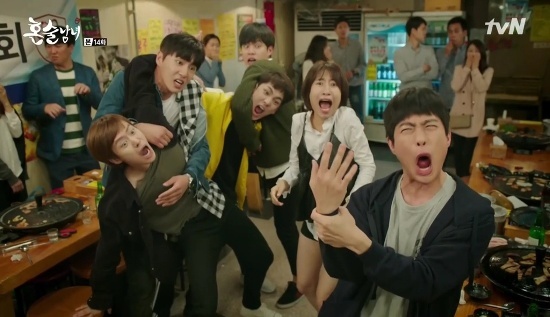 I’m not a teacher or a university graduates looking to become a civil servant, but the struggles, the fun, the silly little things the drama characters showed felt familiar and nostalgic. The characters are so endearing and have their own charming point. The OSTs are so cheery and soothing at the same time. And it’s filled with K-Indie group, such as Dalmoon, Jannabi, and Vanilla Acoustic. So, the indie vibe of this oddly splendid drama is so lucid and strong. On the other side, Shopping King Louis (SKL), give the impression of a typical romantic comedy drama produced by big TV station. Rather than calling it as a typical Cinderella-themed drama, a Frog Prince-themed drama is probably more suitable for SKL. The drama has little to offer, in terms of originality and spanking new plot, but it is so cute and addictive. 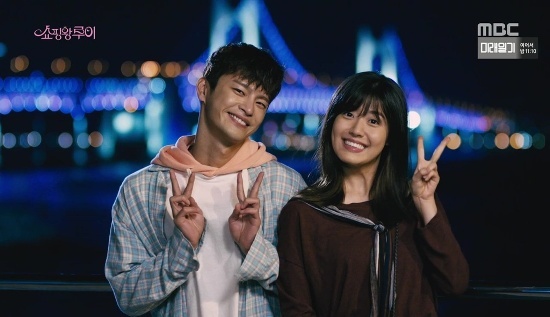 The cause is no other than Seo In Guk, who – once again – managed to perform well in his character. Seo In Guk is definitely the heart of the show. I can’t picture any actor that can play Louis as adorable as him. His antics and his interaction with his “world” a.k.a Go Bok Shil (Nam Ji Hyun) is what making the show into the ultimate cutie pie. Both dramas are so easy to watch and absorb. The conflict is not too complicated – if you can even called it as a conflict. Drinking Solo will conclude this week (SAD! 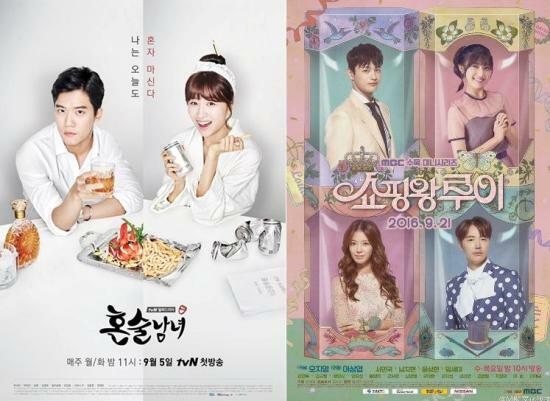 ), meanwhile Shopping King Louis still have a couple of weeks to reach its ending (please, don’t grow into a flop). To sum up, if you are looking for feel-good dramas, then I highly recommend these two.